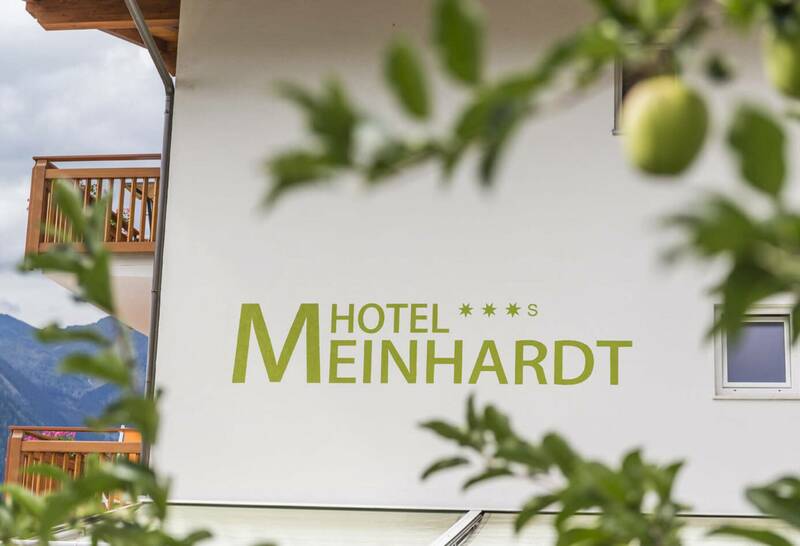 Our hotel in Scena/Schenna, Hotel Meinhardt ***S, is surrounded by lush vineyards and orchards, offering fantastic views of the nearby mountains and the Merano/Meran valley. 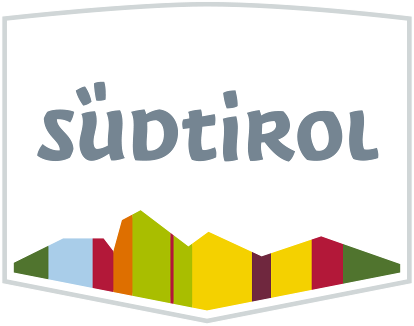 We took inspiration for our new name and the newly designed logo from the astonishing view and the unique location of our hotel. The name Bellavista Hotel Meinhardt keeps the promises it holds, and our new logo will captivate you with its elegant and modern simplicity. A holiday in this unique ambience is all about slowing down and tuning in with nature. The clear mountain air and mild climate will leave you feeling refreshed and re-energised in no time at all. 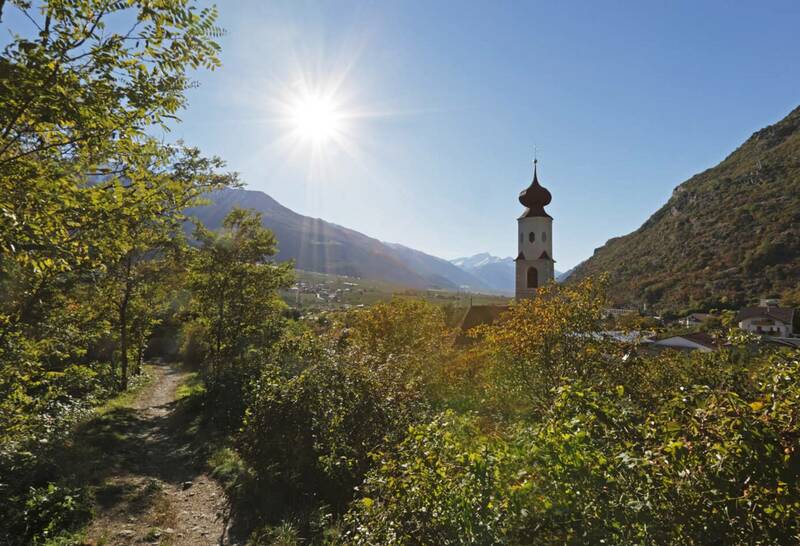 Plenty of sunshine and a perfect combination of South Tyrolean flair and Mediterranean ease make of Scena/Schenna the ideal retreat for gourmets, nature lovers and rest-seekers. Escape the city buzz and enter a realm of relaxation at our hotel in Scena/Schenna. Blue sky, bright sunshine and a lovely scent of fresh hay … holidays at our hotel in Scena/Schenna are all about relaxation and delight. The 3-star-superior hotel in Scena/Schenna is nestled amid sunny slopes and surrounded by picturesque apple orchards. From the sun terrace, you enjoy a fantastic view of the mountains surrounding Scena/Schenna and Merano/Meran, making for the ideal place to savour a cup of creamy cappuccino or a glass of fine wine. Take in the breath-taking panorama and enjoy these unique moments at our hotel in Scena/Schenna! Our hotel in Scena/Schenna is the ideal place for all active vacationers because it is a great starting point for hiking- and mountain-biking tours. Experience nature up close and discover the most beautiful places of the region. Breathe in the spicy mountain air and enjoy the unique panorama. Our hotel in Scena/Schenna is equally popular in winter because the immediate surroundings hold a total of five ski resorts, which are ideal for families, hobby- and professional skiers. If you are looking for a more peaceful and secluded setting, embark on a snowshoe hike or winter walk. Afterwards, relax at the spa oasis of our hotel and gather new strength for your vacation day. Indulge in the peaceful ambience and recharge your batteries! In the evening, our kitchen team will pamper you with delicious South Tyrolean cuisine and Mediterranean delights. Start anticipating pure bliss for eyes, taste buds and belly! Since August 2010, we offer you an alternative to our hotel in Scena/Schenna: the Passerhaus Residence with five holiday apartments. 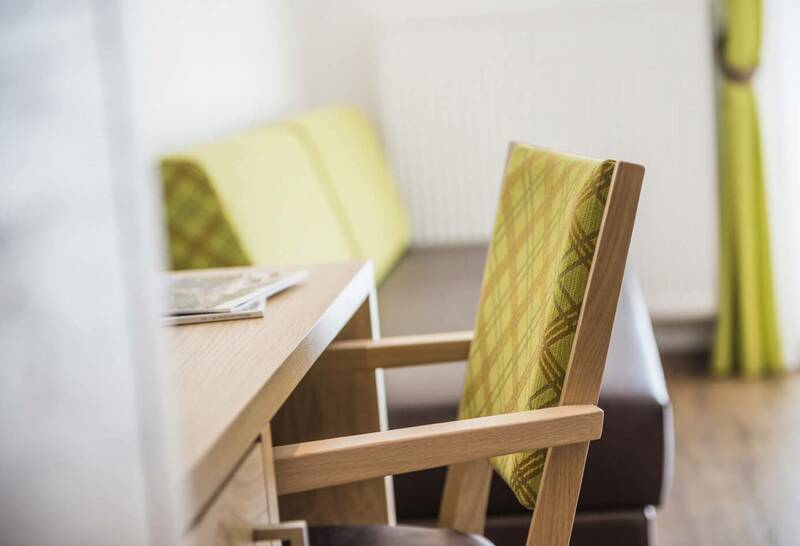 The residence is located about 15 minutes’ drive from Hotel Meinhardt and ideal for all who prefer to plan their holiday independent from meal times, however with a certain degree of comfort and luxury. The holiday apartments are equipped with microwave oven, Sat TV, free WLAN and telephone. Here, you enjoy all the space and peace you could wish for. As a bonus, you get to use the spa oasis of Hotel Meinhardt. Upon request, you can also book breakfast and dinner at our hotel.